The Duchess of Sussex is said to have worked very closely with those producing her arms which follow a traditional design. Coats of arms have been used for 900 years as a way of identifying important people or institutions and while Meghan's design incorporates modern nods, it follows a usual pattern. As a married woman her arms are shown with those of her husband, the two shields placed side by side or impaled. It's the image on the right as you look at the arms that refers to Meghan. Her shield is bright blue as a nod to the Pacific Ocean off the coast of her home state of California and it's crossed with two golden lines to denote the rays of sunshine the area is so famous for. The state flower of California, the golden poppy, lies scattered in the grass beneath the shield amongst wintersweet, a favourite flower of Meghan's which grows at Kensington Palace. What really catches the eye here is that songbird, holding up the shield. It's known as a ''Supporter'' and it's traditional for members of the Royal Family to have one ascribed to them. Meghan chose a songbird to represent the power of communication, a nod to her previous career as actress and writer and which is also denoted by the quills on the shield. 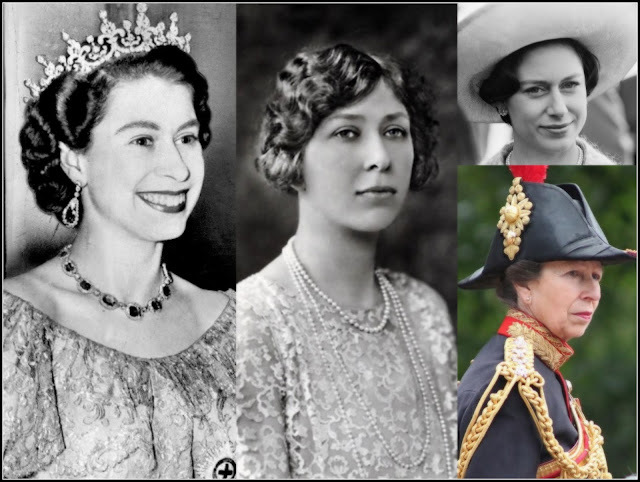 Finally, the songbird has a coronet around its neck - the traditional place for this to be on a supporter for someone who has married into the royal family. 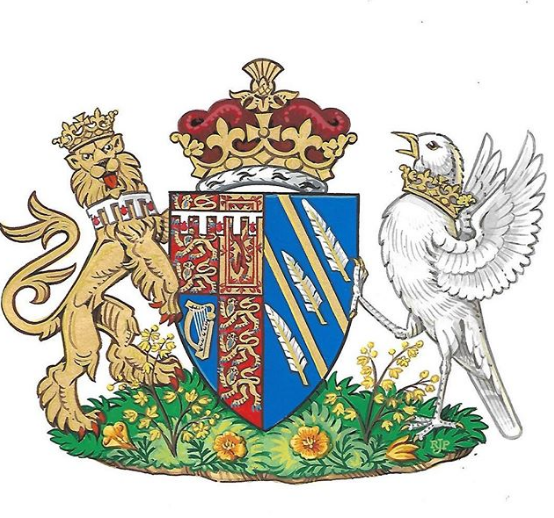 Opposite Meghan's shield are the arms granted to Prince Harry on his 18th birthday. Atop the whole coat of arms is a coronet designed according to the Letters Patent of 1917. The whole design was approved by the Queen and by Thomas Woodcock who is Garter King of Arms and Senior Herald in England. He said that this Coat of Arms ''stand well beside the historic beauty of the quartered British Royal Arms''. 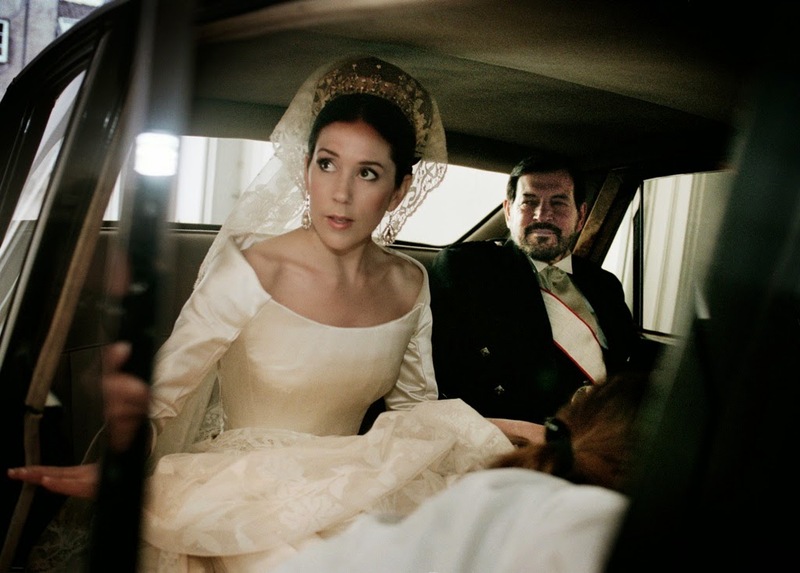 They have their own place in history and will be seen for many years to come as part of the royal story of the Duchess of Sussex.